Fiercely committed to the music of our time, violinist and composer Giancarlo Latta has premiered dozens of works by numerous composers. Recent highlights include duo performances with flutist Claire Chase as part of Da Camera’s 2017-18 season, a premiere of a George Lewis work at the Banff Centre, the U.S. premiere of Liza Lim’s opera Tree of Codes at the Spoleto Festival, and residencies at the Avaloch Farm Music Institute and the Barnes Foundation in Philadelphia. 2018-19 sees the beginning of a multi-year project, “24/21 [24 Caprices for the Twenty-First Century],” a commissioning mechanism for a new body of violin repertoire that explores the ever-broadening meaning of virtuosity. Latta has performed with the International Contemporary Ensemble and JACK Quartet and has been heard in venues as diverse as the Rothko Chapel in Houston, National Sawdust in Brooklyn, and London’s Royal Albert Hall as part of the BBC Proms. As a composer, he strives to blur the boundaries between pitch and sound, between notation and improvisation, and between composer and performer. 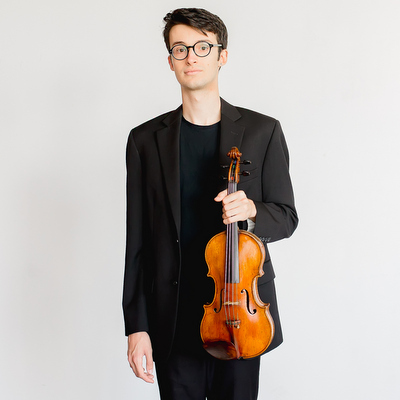 Latta is in his second year of graduate studies at Rice University, where he studies violin with Paul Kantor and composition with Dr. Anthony Brandt.